Our prisons are overcrowded, and Oklahoma—a state that puts more people behind bars than any other U.S. state—is striving to change that. With a staggering number of Americans experiencing incarceration, we need to ensure that people have the right tools and resources to successfully rejoin their families and communities after they have served their time. We know that access to education inside and outside of prison can greatly increase chances for success. The Last Mile, a program that teaches incarcerated students how to code, is an inspiring example of one that works. Its students have a remarkable zero percent recidivism rate. It’s currently available in 12 correctional facilities across the nation and is expanding to include Mabel Bassett Correctional Center in McCloud, Oklahoma to reach more incarcerated women—a largely underrepresented demographic in tech. 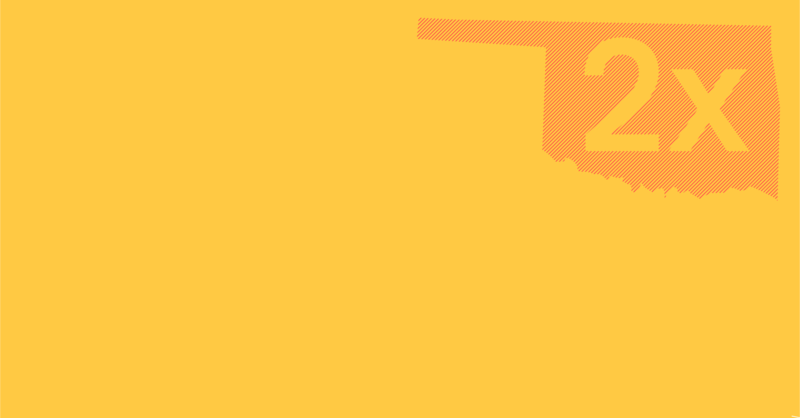 Beyond this opportunity, Oklahoma is stepping up to safely reduce incarceration and expand opportunities for people with convictions. And a bipartisan coalition is working to drive additional reform to build on voter-backed improvements. These are all critical steps toward a future in which the criminal justice system delivers justice and a fair chance after incarceration. Visit the newsroom for more on our work with The Last Mile and its expansion. Oklahoma’s annual inmate census reveals the impact of its female incarceration rate.